Not many snook in Iowa! So I have to spend a week a year on the beaches down here! Was out last Monday, and already having a spectacular day. 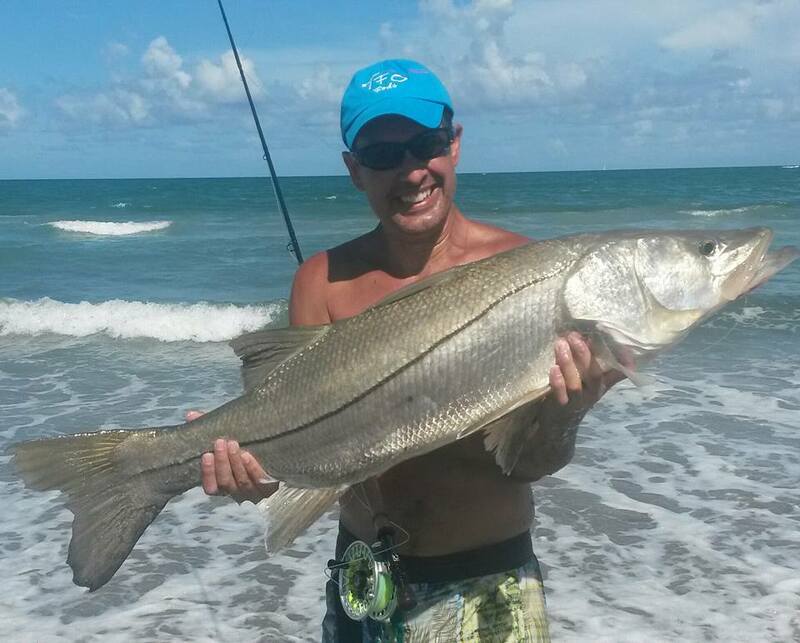 Despite a lot of wind, and dirty water, had already put eight snook on the beach. Made a long cast, took one strip, and got crushed. A guy standing up on the rocks yelled, "Dude, that's a big fish." Fish went into the backing, and then powered down the beach about a 150 yards, despite the fact that I was putting a lot of heat on it. When I got it close, it seemed like it just doubled in size. 42 inches and heavy. So excited I could hardly sleep that night. Love...love beach snooking. Nice! I was thinking about hitting the beach in jupiter in the am for the same thing. Mind sharing what kind of fly it hit? Was going to use some pilchard imitations or clousters. A great catch with great skill....a very special day...well done! Way to go man! Awesome work to get it done while here on vacation!! That's a slob! Well done. Thanks! It helps that the whole point of vacation is fishing, out in the morning before dawn, came in in the dark. Had a lot of great experiences, hooking blackfin on fly, jumping a big tarpon in the Glades, and even talked a guide into letting me try one of the big sharks offshore on fly...which didn't end up being as fun as sounded in my head. Awesome fish and on the buggy whip ... great angling!! Nice fish right there! Great work. That's why I waited til after I went home to post. Very Nice! I coach a kid in baseball that caught his personal best at sailfish flats on fly at 42" I believe it was. He was featured on the insider report last week. 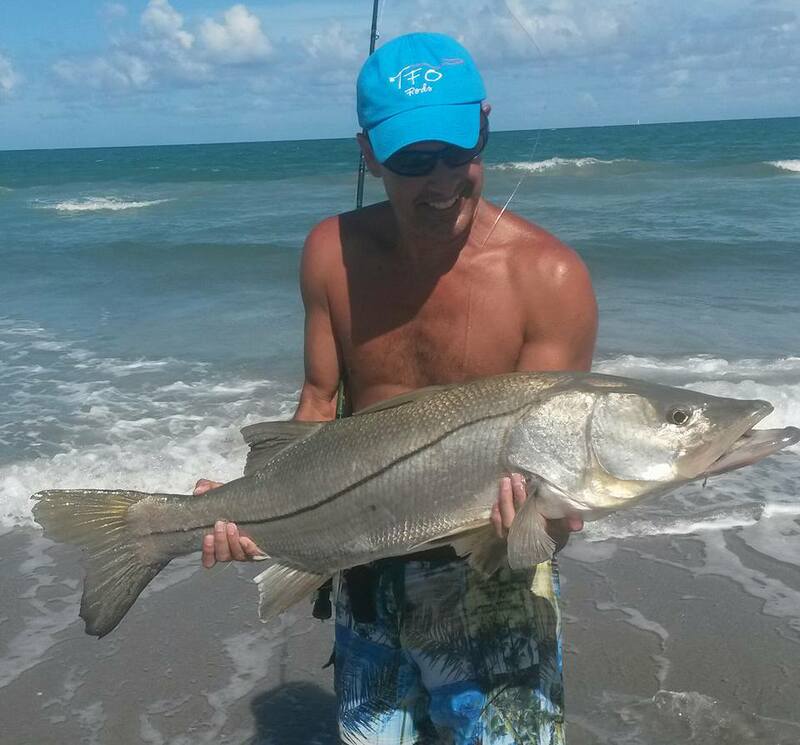 Stud snook my friend! From one Richter to another...Congrats! I have caught snook that big, but not on fly. I have caught big snook in the surf, but not near that big. That is so awesome. Life might be all down hill from here. Just kidding. Keep up the good work. congrats! Great fish on any tackle.